In this fresh and provocative new audiobook, Mary Katharine Ham and Guy Benson, dynamic Fox News and Townhall Media duo, expose how the Left exploits fake outrage to silence their political opponents - in public, on social media, at work, and even in their own homes. End of Discussion encourages all Americans who value the open exchange of ideas to fight back against this strategic effort to make America less free, less feisty, and less fun. The performer sounded sarcastic and snarky which often reduced, though sometimes matched, the context. The author attempts to evoke a centrist view of the social justice movement, but instead, often times the comes off as a focused, conservative leaning critic of liberal politics while briefly touching on blemishes from the right to attempt some sort of vision of fairness in his proposals. The disparaging and leading adjectives seem to be the greatest indicator of these moments. The book shines the most when the author flexes his historical acumen. This is especially true in the concluding chapters. I found the description of a protracted history of social justice from a conservative leaning perspective to be the. ostentatious refreshing material that we currently have dealing with h this subject matter. For the curious reader you will find yourself looking to the authors sources since this explanation of social justice is mostly absent in the current we commonly find in the diatribe of it's purveyors, not to disinclude the many other common and seemingly intractable ideas of cultural appropriateness. There’s a tremendous amount I could write in this review, but overall I think “less is more “is the better way to go. First off, I think Mr. Abell does a great job reading this book. Everything is annunciated very clearly, and I enjoyed his tempo and style of reading. Regarding the tome itself, there’s a great deal of food for thought here. 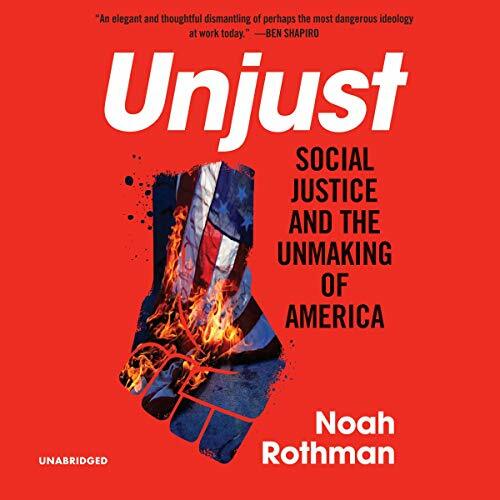 I think Mr. Rossman almost goes out of his way to ‘try’ to present a balanced view of “Unjust” from both the left and right ends of the political spectrum. I say “try“, because it’s my opinion (which I think is strongly supported by existing evidence) that there’s far more unjust social justice from one side of the political spectrum then on the other. I won’t say which side that is, because I respect Mr. Rothman’s attempt To convey that balanced perspective. 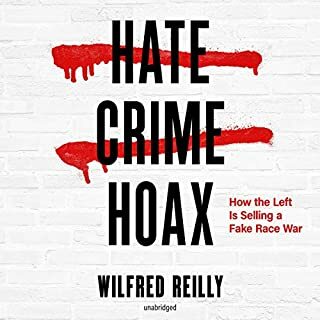 I found the most intriguing, and perhaps frightening, portions of the book to be the ones related to the hoax hate crimes, and the ever dwindling amount of time spent in Americas classrooms on traditional social studies. For the most part, I think one necessarily leads to the other. If you don’t accurately teach traditional social studies, then you’re far more inclined to do what you think is necessary to tear down the traditional fabric of our country in order to address ill perceived (because not properly educated) “injustices”. What’s really ironic coming from some of the ”reviewers” who have not actually read the book, is that Mr. Rothman clearly does not like President Trump. With the irony of course being that these pseudo-reviewers are attacking Mr. Rothman in a lot of instances because they view him as some sort of political/conservative radical. That couldn’t be further from the truth. 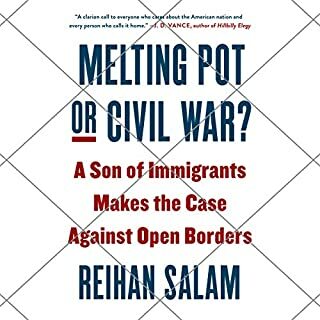 In fact, I would argue that Mr. Rothman was fundamentally incorrect about the Presidents proposed ban on immigration From certain countries which sponsor/generate most adherents of terrorism. And I would suggest that that misconstruing of the Presidents position was perhaps unconsciously biased by Mr. Rothman precisely because Mr. Rothman does not like him. “Unjust” is a very persuasive and well argued case against the excesses of the intersectional left. The book was thoughtful, and well researched. It was enjoyable to read. 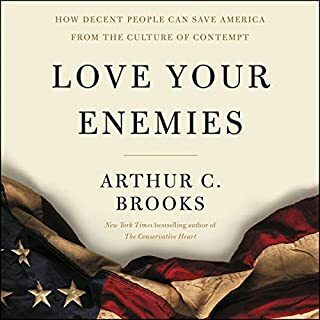 This book was published way ahead of its time and it’s even more profound for what the country is suffering through today. The only fault I find with it is that so few people will read or listen to it. My highest compliments to the author and to the reader a brilliant match. Thank you please know that I have listen to it twice And it will remain a permanent addition to my audio library. I am a retired straight white male with a libertarian & social liberal bent, and I, along with Rothman, have grave questions about social justice philosophy. The book begins with a list of (somewhat minor and insignificant) cases where straight white men are subjected to social repercussions due to somewhat minor politically incorrect behaviours. It also lists many false flag leftist initiated hoaxes. These (and others) are all reasonable anecdotal instances of the overreaction of social justice proponents. I also agree with SOME of the statistics Rothman quoted. Unfortunately this book is not a thoughtful unbiased analysis of social justice philosophy. 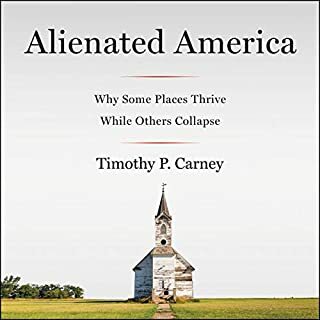 This author attacks Ta-Nehisi Coates for writing "Between the World and Me" because the author is black, successful, and questions fairness of the American dream. "Between the World and Me" is a great book and Rothman's attack seems either crazy or (I presume unconsciously) racist. One cannot reasonably reject ideas simply based upon race and success. There is other ignorant, far right, clap-trap. For example, the author explains the 2008 mortgage meltdown was caused by federally guaranteed low income loans. This is an often repeated, ultra-conservative, mistruth. Read "The Big Short" for a great detailed and accurate analysis. He describes Obama as the first president of African heritage. This is an awkward way of describing Obama as he was actually the 44th president of African heritage (as they all were, some with more recent ancestors than others). 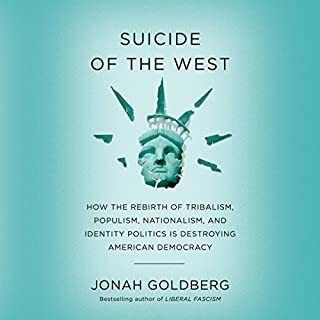 In his conclusion he lumps all social justice movements into one bag that are "...vaguely authoritarian, entirely uncompromising, and exceedingly self-referencial, they have little regard for the generations that came before them. Their year-zero mentality excuses them from studying the past and learning from the mistakes made by wiser men and women." He does not support this, he just concludes it. This seems a bit of an overgeneralization. I have to ask myself "of which am I more worried, social justice groups (that appear largely inept and disorganized and who are armed with sticks or neonazis and the alt-rigth that appear militaristic and frighteningly well armed?" Well, I am not too worried about social justice groups. I don't think reasonable readers, or proponents of social justice will be persuaded by this book. 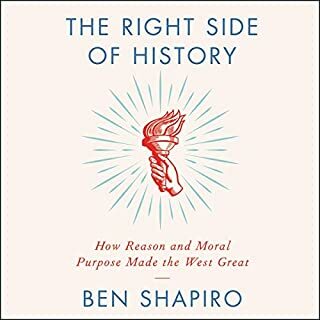 I have ordered many hundreds of books from audible, many by authors with which I strongly disagree, but this is the first I am returning. Came away not knowing much more than when I started. A few things were worth thought but most was regurgitated news stories. This is a good exploration of the rise of identitarian extremism in the United States. It's short on prescriptions, but in order to solve a problem, you first have to recognize that it exists. That seems to be the goal of this book. In short, logic and reason matter less and less today. They are being replaced by an assessment of how oppressed someone's identity is considered to be. Equality of opportunity and taking care of the root causes of problems are being thrown out in favor of an insistence on equality of outcome, even if the inputs are not the same (whatever the cause of that is). This leads to injustice: reversing oppression instead of getting rid of it. The book also has some problems. Right-wing and left-wing identitarianism are discussed in one breath, as though they're remotely equivalent, when only one brand dominates corporations and institutions. The author occasionally goes into irrelevant digressions about how much he dislikes the current President of the United States. The most striking of these was when he bemoaned that politicians and elites do not condemn right-wing violence and left-wing violence equally, when he earlier bemoaned Trump doing that exact same thing. Still, unlike for many public figures, his dislike for Trump does not make him more sympathetic to identitarian extremism.